Seeing the return on investment for social media can be difficult if you’re not sure what you should be looking at in your analysis or metrics. If you’re looking for the wrong things, there can be missed opportunities to capture a new target audience, or to fix your existing social media strategy to make better use of your time online. 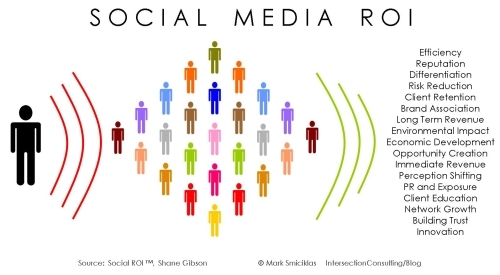 Here are some tips on how to measure real ROI for your social media work. So what is it that social media can offer you? Forget about “increased loyalty” and the like. We want things we can actually measure. Increased retention of your existing customers. Engaging with, and keeping, the clients you already have is cheaper, by far, than having to get new clients all the time. Building a sense of community around your brand online is a way to keep them engaged with your business and make them feel that you are engaged with them on more than a simply professional level. Increased repeat purchases. Converting those likes and retweets into sales and referrals might be tricky at first, but once your clients get into the habit of spending money with you, they will keep doing so for as long as there is value in it for them. Reduced marketing costs. Even if you’re paying to promote your posts on facebook, or for pay per click advertising, it can still work out to be significantly cheaper than more traditional methods of advertising. Money you save on marketing can be put to use elsewhere in the business, or on wage increases for your staff. Feedback. People are only too happy to tell you what they think from the safety and comfort of their computer. They are less likely to give you criticism in a face to face situation or a written survey. 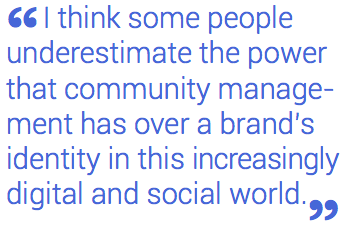 Take the opportunity to ask your online community what they think about ideas, or if there was something they weren’t 100% happy with during the last transaction. No print costs, no phone bill, and free useful feedback – it’s a win-win situation. Reduced customer service costs. If you have one person employed solely to answer the questions coming in on the phones, why not get that person online instead? It’s faster, cheaper and means your clients don’t have to stop what they are doing in order to get their question answered. They’re already online, so go online. Go to where your clients are. Recruitment. Are you looking for a new staff member? Need volunteers to help you with that barbeque you’re holding at the community centre? Helping to organise a busy bee at the local school? Why not turn to your online client base? If you’ve been running the rest of your social media presence correctly, they will already be engaged with you and your business, so convert it into action. When it comes to selling social media as a real and measurable platform for engaging with your client base, do away with elements you can’t measure and stick to things you can plot on a chart. It will make the time, effort and money spent on building your presence worth it. You will also be more able to see what works and, more importantly, what doesn’t. 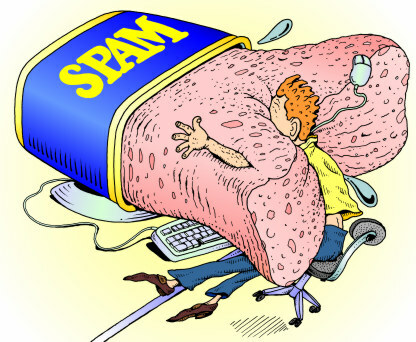 Spam or Ham? Are your emails lawful? 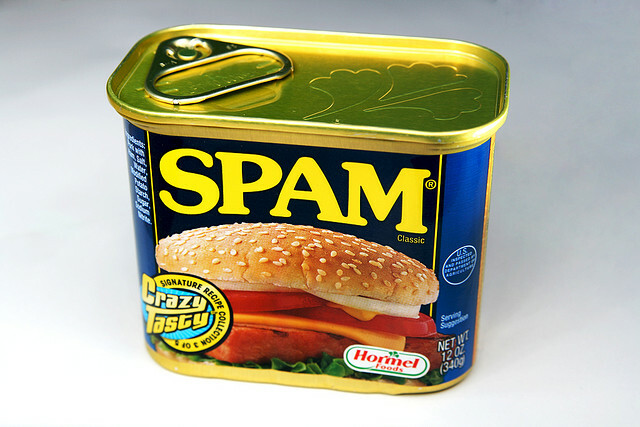 Are you accidentally spamming your client’s inboxes? Are you up to date with the legal requirements for the marketing emails you send out? I will share the basics of keeping on the right side of the law when it comes to email marketing. The Spam Act of Australia (C2013C00021) is the main legislation that you need to adhere to when you are sending out emails to anyone. The 60 page-long document details exactly what is and is not allowed when you are engaging in electronic communications. Thankfully, you don’t have to read the full Act. I’ve summarised it here for you. There are three things to keep in mind when you are putting together an email campaign or sending out emails to your client base. Do you have consent from the person who will be receiving the message? Does your message have a clear indication of who is sending the message? Does your message give the receiver an option to unsubscribe from the emails? Sound simple, doesn’t it? Now, let’s look at each point in a little detail. Consent is either express or implied. Express consent refers to the person receiving the message subscribing directly to your mailing list, deliberately ticking a box agreeing to have messages or ads from you, or they have expressly requested from you over the telephone. – the person receiving the emails has given you a business card with their email address on it and there’s a reasonable expectation the messages would be sent by email. So, what should you do if you’re not sure if you have received consent to send marketing emails to them? Don’t send them emails. It’s really that simple. Remove them from your lists. If you are not sure that you have consent, you might get into trouble for sending the emails, even if you provide all the unsubscribe options required by law. When in doubt, if you are making an option on your website for people to sign up to your email lists, give them “double opt-in” to make sure they understand that you will be sending them messages. The sender information to be included in the email is expected to be valid for 30 days after the message is sent. This is in case anyone needs to get in contact with you in a way that isn’t online. This can be easily included into the signature of your email. Always include an unsubscribe feature in your emails. This can be as simple as a link to another page that automatically removes their email address from your CRM (Customer Relationship Management) software or email lists. Automating this means less work for you and adds a surety that you’re not spamming anyone. So, there are three easy steps to make sure your email marketing campaign is running by the book. Do you have consent of the people you’re sending to? Have you clearly identified your business? Have you given an unsubscribe option?